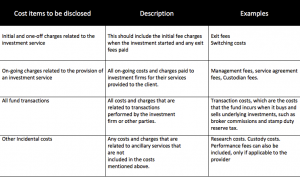 MiFID costs and disclosures – So, how’s it all going? We all know that MiFID II came into effect on 3rd January 2018, with the aim of introducing greater disclosure on costs and charges and new obligations on us to provide greater transparency on the costs and charges on Investment Services and transactions. MiFID II requires investment firms to explain all costs ex-ante, (before the client invests), and ex-post, which means periodic reporting after the client has invested into a fund about annual management fees and advisory charges. Ex-ante disclosure will require a number of costs and charges to be estimated, either via incurred costs as a proxy or through “reasonable estimations” made by the firm, which can adjust its assumptions according to actual experience. That all sounds so simple, in reality, it has not been as clear and straight forward as that. The problem has been in gathering the correct and consistent information for reports – but initial suitability reports, and annual suitability reviews. MiFID II requires investment managers to ‘disclose additional transaction costs’ that are charged to their funds, this is on top of the established ongoing charges figure (OCF). The Investment Association’s definition of the OCF is that it should already cover all operating costs, including management fees (not including performance fees), custody, administration, auditor fees, regulator fee, and depositary fee. So what are the additional transaction cost?? All funds incur costs as a necessary part of buying and selling underlying investments and are required in order to achieve the investment return and now they need to be disclosed. The reason for additional transaction costs are not always a negative point; transaction costs do not necessarily reduce returns. The net impact of dealing is the combination of the effectiveness of the manager’s investment decisions in improving returns and the associated costs of investment. Currently there is no set guidance from the regulator and fund providers can use several different methods to calculate their funds’ transaction costs’. 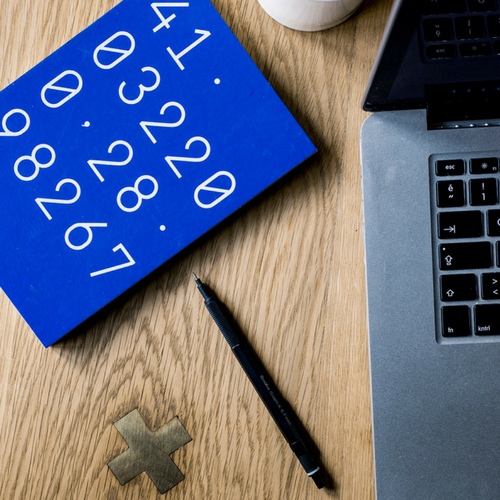 Therefore, it all becomes confusing again and could make a bit of a mockery of any comparison of the same fund between providers, ultimately this could really confuse your clients and make it much harder for you to explain this! So how do we disclose this to our clients? Given that all this is new, at the moment we can only produce data that we are given from the providers and until the industry catches up, it will all be evolutionary rather than revolutionary. From what we have seen, some firms are adding a caveat to the disclosure documents stating any anomaly reasons until all data is more correct. We would advocate and encourage the inclusion of £ & pence, as well as a %, in line with FCA best practice. We are currently doing some research into this and the inconsistencies we are seeing with cost disclosure and will be highlighting some good, and not so good, examples in an upcoming blog.